Yesterday was Valentine’s Day and I fully intended to write this blog yesterday but if you are keeping up with things you will know this got usurped for “Boys Are Weird…” which needed to be written in a timely manner or it would have lost its edge and frantic tone of my voice as I tried to escape the horrendous odor in my car! Anyway, yesterday was Valentine’s Day. To me, Valentine’s Day is about doing things for others…sharing. Sharing things others love. 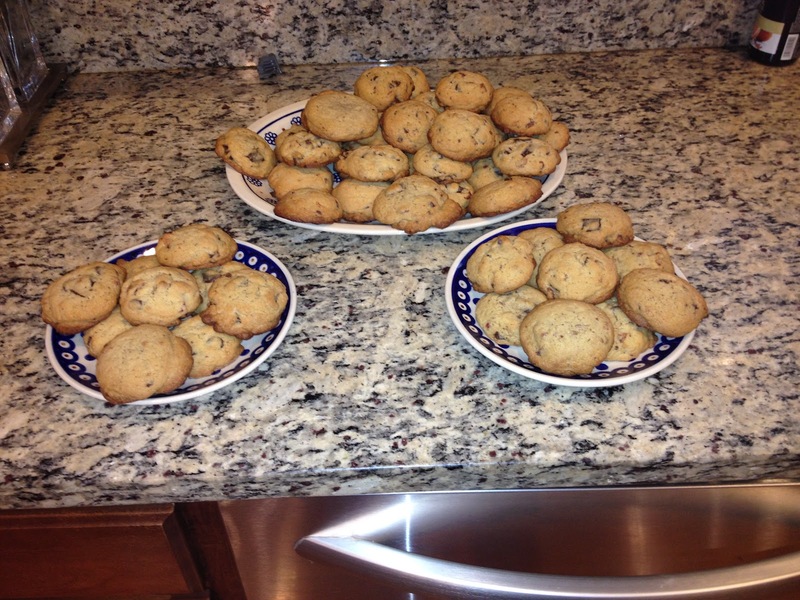 So I made cookies…pounds and pounds of cookies. One of my friends posted a recipe on Facebook for Bacon Chocolate Chip cookies. And I thought to myself, “self, you know the kids like cookies and you know the kids like chocolate so reason stands to chance that they will like these cookies.” And I went BIG…a double batch. I cooked two pounds of bacon in preparation for the recipe. I chilled the bacon fat and got all my ingredients lined up for a good ol’ bake fest to share with others. I baked and baked and baked. And I had a blast. I love baking so for me it was a little selfish but I wanted to give these (hopefully) delectable treats to help make someone else’s Happy Heart Day just a little happier. Here’s the link to this recipe ~ just in case you are game to give it a whirl. My girlfriend who shared the recipe added that they are even better when frosted with butter cream frosting and sprinkled with more bacon. My boys confirm it…Zach said they are by far and hands down the best cookies he has ever had! Baking cookies for a day of sharing is for the love of my children….